A wave of so-called bathroom bills and other legislation seen as "anti gay" prompted corporations this week to voice their opposition and even threaten to use their economic muscle to block them. 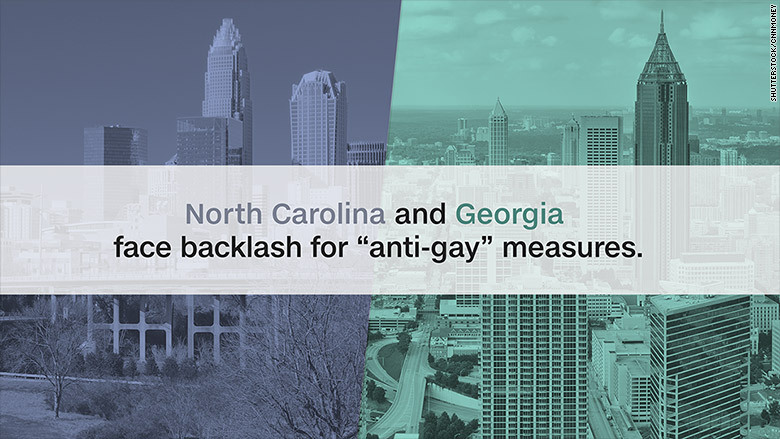 The issue came into the spotlight this week when North Carolina enacted a measure that prevents cities from banning the discrimination of LGBT individuals. At the same time, Georgia Governor Nathan Deal is considering a bill that would allow religious groups to deny service to LGBT people. He has until May 3. The two bills have evoked an outcry from corporations. Some have issued sharply worded denunciations, while others have warned they will take their business elsewhere if laws that tolerate discrimination against the LGBT community are enacted. North Carolina became the first state to legalize a "bathroom bill," which requires students in state schools to use the bathroom that corresponds with the gender recorded on their birth certificates. The bill, HB 2, overturned a Charlotte city ordinance that banned discrimination against LGBT individuals. The state law also prevents other North Carolina cities from enacting similar policies. Some of the biggest corporate names in the state including PayPal (PYPL), Bank of America (BAC) and Dow Chemical (DOW) denounced the new law. The NBA said the law could cost Charlotte the right to host the 2017 NBA All-Star game. It's scheduled to be held at Time Warner Cable Arena, where the Charlotte Hornets play. In Georgia, HB 757 aims to protect "religious liberty" by allowing faith-based groups to deny services to LGBT individuals. The measure has been met by outcries from major players in the business, tech and entertainment industries. The CEO of Salesforce (CRM) said the company "can't have a program in Georgia" if Deal signs it into law. Disney (DIS) said it would stop filming in the state and Unilever (UL) said it would "reconsider investment" if it was signed. The NFL said the bill could cost Atlanta the opportunity to host the Super Bowl. 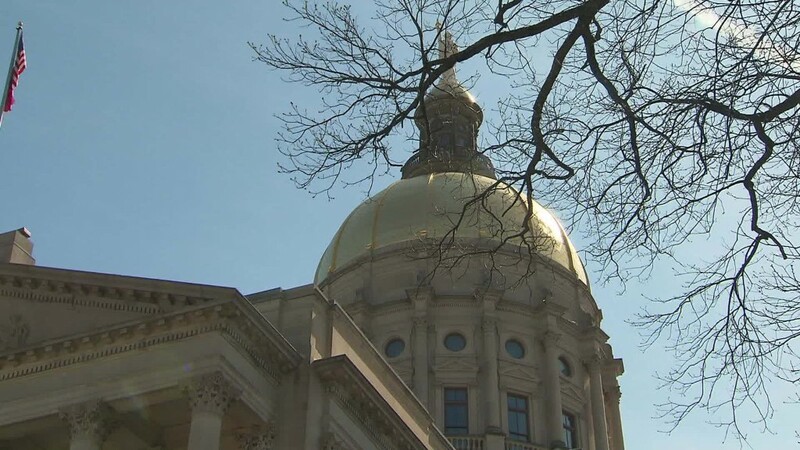 Georgia Prospers, which represents over 480 companies, also denounced the bill. Several big companies are members of the group, including Coca-Cola (CCE), Delta (DAL), Home Depot (HD), UPS (UPS) and Marriott (MAR). North Carolina and Georgia aren't alone in their efforts to curb policies based on gender identity and weigh in on transgender bathroom use. Tennessee and Arkansas have laws that prevent local governments from creating their own measures outlawing such discrimination. South Dakota lawmakers passed a "bathroom bill" in January, but it was vetoed by the state's Republican governor earlier this month. He said the bill didn't answer a pressing issue and that school districts should handle it locally. Several cities have also taken a stance. New York City's mayor issued an executive order allowing people to use public restrooms based on their gender identity and Philadelphia stated that private companies must display gender-neutral signage on single-occupancy bathrooms. Houston took the opposite approach when voters refused to pass a proposition that would've included LGBT people in non-discrimination policies.